Located in the heart of Manchester, Topkapi Palace is a purveyor of traditional Turkish dining from the esteemed and renowned Chef Seref Dursun. The original Topkapi Palace branch was established in 1979 in Deansgate and throughout the years has been one of Manchester's most successful and tastiest restaurants and take aways. 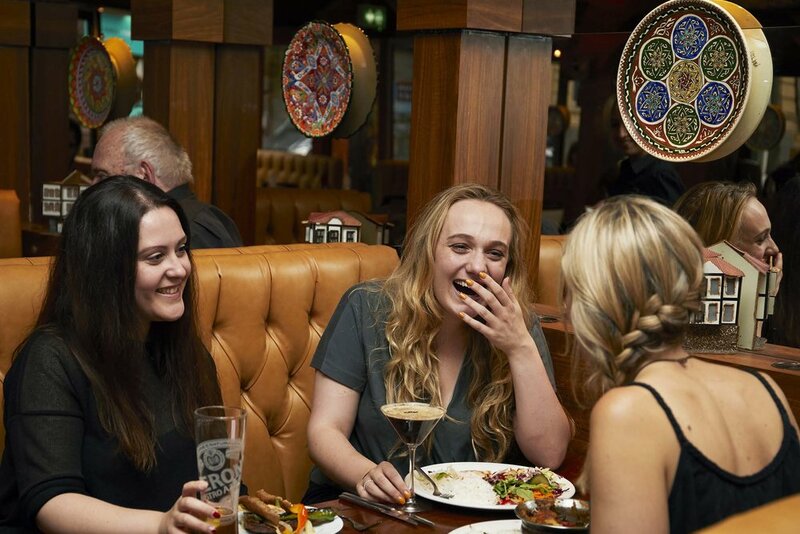 This family run loyal business, run by head chef Seref Dursun and the family has been serving fabulous Turkish food on Deansgate for 36 years. Topkapi’s open kitchen gives you the opportunity to see our chefs in action! Feel free to ask absolutely any questions about our meat preparations. HAVE YOU TRIED OUR TAKE AWAY? For a quick bite in the afternoon or evening we invite you to try our Take Away located nearby our Deansgate restaurant. We hope you will enjoy your taste of a traditional Turkish cuisine, perhaps accompanied by a bottle of a Turkish wine or Efes?